TEL AVIV – The wife of Nazi propaganda minister Joseph Goebbels had a Jewish father, a document discovered by a German historian in the Berlin archives shows. The document, published in the German newspaper Bild and cited by the London-based Jewish Chronicle, is a residency card showing that the biological father of Magda Goebbels was a Jewish businessman, Richard Friedlander. Friedlander married Magda’s mother, Auguste Behrend, when Magda was about seven years old. Until now, Behrend’s husband, the German engineer Oskar Ritshel, was presumed to be Magda’s father but his name does not appear on her birth certificate. Behrend married Friedlander in 1908 but had had an affair with him seven years prior, while she was still wed to Ritshel. Friedlander died in the Buchenwald concentration camp in 1939. His daughter, a Nazi fanatic like her husband, did not make any move to help him. A 1934 diary entry by Joseph Goebbels reveals that his wife had made an astonishing discovery about her past, likely in reference to her mother’s affair with Friedlander. 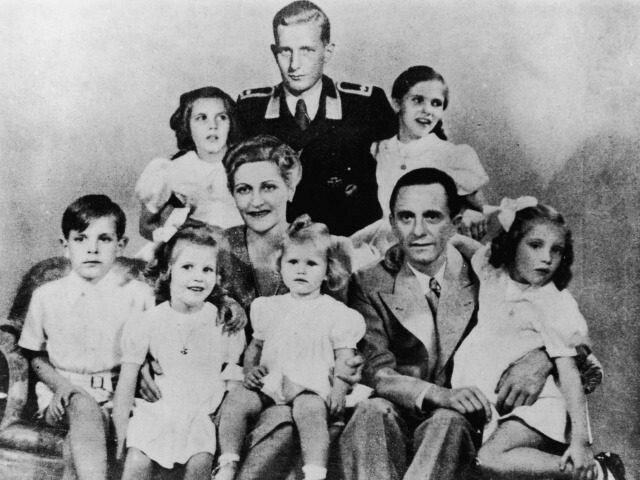 The Goebbels family had been portrayed by the Nazis as the ideal Aryan family. The most visible wife of a high-ranking Nazi, Magda was presented as the perfect wife and was known as “the First Lady of the Third Reich.” In line with Nazi ideology which encouraged procreation to expand the pure race, Magda gave birth to six children. On April 30, 1945, a day after Adolf Hitler took his life, their six children were given morphine injections by an SS doctor and died. Joseph and Magda Goebbels were administered a capsule each for their suicide.